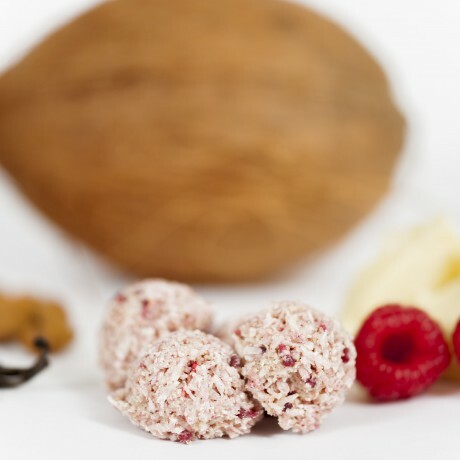 Gluten free, Dairy Free, Soya Free, Refined Sugar Free and most importantly, delicious Raspberry and White Chocolate flavoured coconut macaroons handmade in the UK. 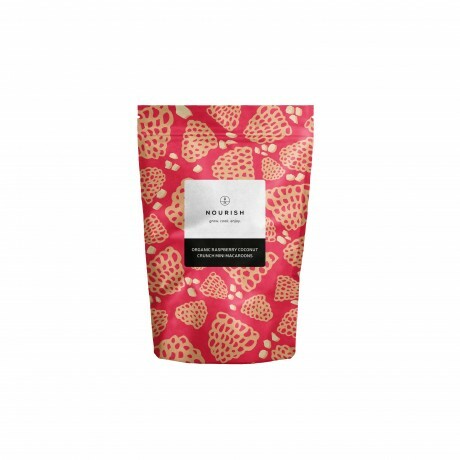 Pieces of freeze-dried raspberries combined with raw cacao gives a dreamy white chocolate taste. A healthy treat combining these two anti-oxidant rich foods. 1 pouch contains 9-11 mini delicious macaroons. Desiccated Coconut, Raw Cocoa Butter, Pure Maple Syrup, Sunflower Seeds, Ground Almond, Freeze-dried Raspberry Pieces, Vanilla Powder.